Perhaps, while we are enjoying the convenience of optoelectronic products, we are ignoring the important components of the optoelectronic products, the cylindrical lens. 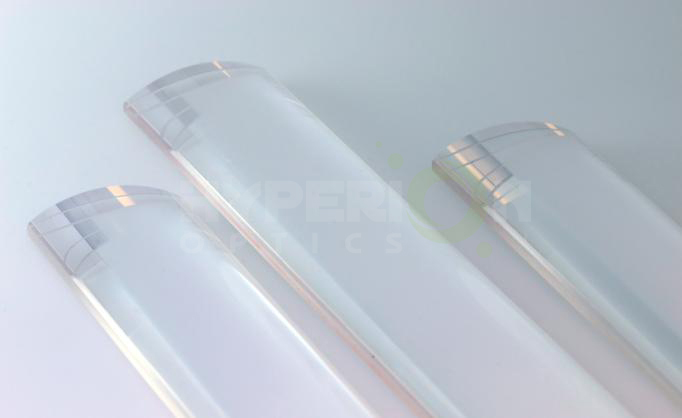 As we all know, Optoelectronic products are mostly composed of the light path system, electronics and mechanical systems. Light path system is considered to be crucial in the process of information collection and transmission. The optical system is composed of lenses, spectroscopes, and reflectors. The surface is usually a sphere or plane. 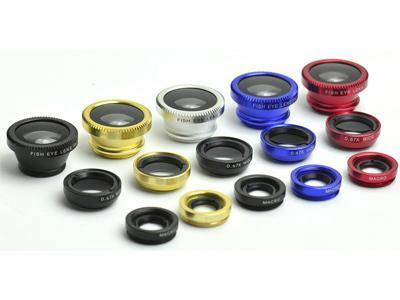 The cylindrical lens is non-spherical, which can effectively reduce the ball difference and color difference. It is divided into flat convex cylindrical lens, flat concave cylindrical lens, double convex cylindrical lens and double concave cylindrical lens. It has one-dimensional amplification. Cylindrical lenses are designed to change the size of the image. For example, turn a spot of light into a patch or change the height of the image without changing the width. 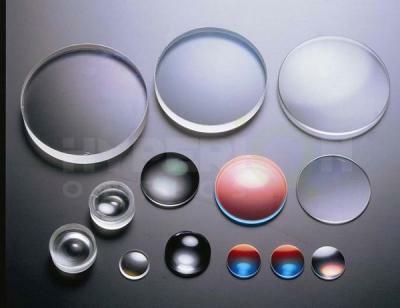 The special optical properties of the cylindrical lens make the cylindrical lens more and more widely used with the rapid development of high technology. Such as line gather system. films system. fax machines and printing typesetting scanning imaging system. And in the field of medical gastroscope. Laparoscopic, in the field of auto car video system with the participation of cylindrical lens. Linear detector at the same time in lighting, bar code scanning, holographic lighting, optical information processing, computer, laser emission. And the strong laser system and also has been widely used in synchrotron radiation beam line. At the same time, with the constant improvement of cylindrical lens processing technology, has formed a mature and effective processing technology, the quality of its good reproducibility and repeatability gradually been recognized by the market. At present, the process is gradually replacing the relatively backward traditional technology. The cylindrical lens is a combination of two optical surfaces, and the relative position of two optical surfaces determines the overall optical properties of the cylindrical lens. 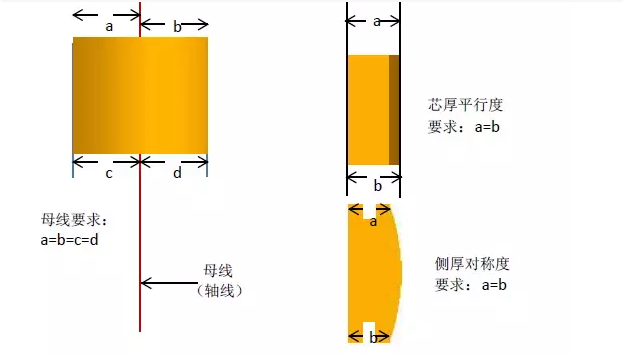 So how to ensure the rationality of the relative position of two optical surfaces is the key and difficult point in the process of cylindrical lens. What is the ideal relationship between the two optical surfaces? Here is an example of the three views of a flat convex lens. 1.The design or machine of fixture is defective, and the attached surface and the center line are not good. You need to start with the fixture. 2. The lens stick is not in place, need to be attached to the working method to begin to improve. 3. The product moves during processing. Need adhesive adhesion and processing time lens force load begin to improve. 1. 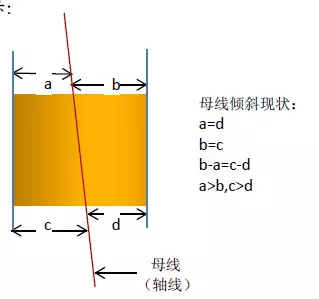 The design or machine of fixture is defective, the surface of the lens is attached to the axis of the central axis and the failure of the channel is not good. You need to start with the fixture. 1. The design or machine of fixture is defective, and the two benchmarks are not straight. You need to start with the fixture. Using a laser generator through a special lens will be test cylinder lens, the light source into cylindrical lens by cylinder after receives the light source the light source is reflected back to image receiver, again by the CCD camera images appear on the display equipment. The final judgment is made by the testers. High detection accuracy: the detection error can be controlled in 0.001 mm. High detection efficiency: the skilled person can detect 20PCS per minute. 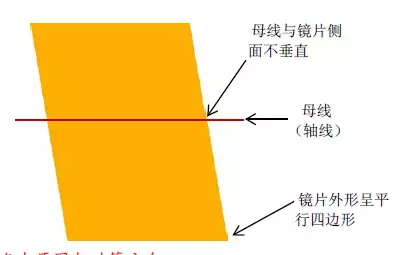 Do not affect the appearance: using laser reflection to detect has no direct contact to the surface of the product and to the product appearance does not have the effect. For a long time, most of the domestic cylindrical mirror manufacturing has been used in the traditional way of processing. It gradually failed to meet customers' needs. Our company is based on many years of lens processing experience, and study abroad advanced processing technology, the development of a set of advanced cylindrical lens to process the new method. This method changes the traditional single chip processing to make the plate processing, greatly improve the processing efficiency, and can reduce the processing cost. The stability of processing quality also increased significantly.